A palette of clean white pottery in varied shapes and finishes highlights Zen's collection of cactus and their friends. Taller leafy plants like Yucca elephantipes and the graceful kentia palm contribute some movement and contrasting texture. Zen's plants are carefully placed to maximize the light in the room. 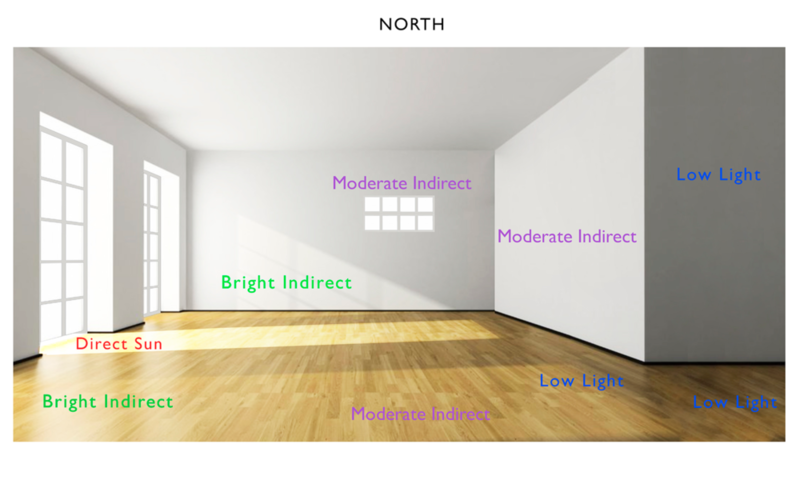 If you aren't sure where your own plants will be happiest, use this handy diagram to assess the light conditions of your space, or come down to the store and bring some photos of your room to show our expert staff. Zenaida constructed a living wall sculpture using a metal trellis and a selection of tillandsias, often called air plants. 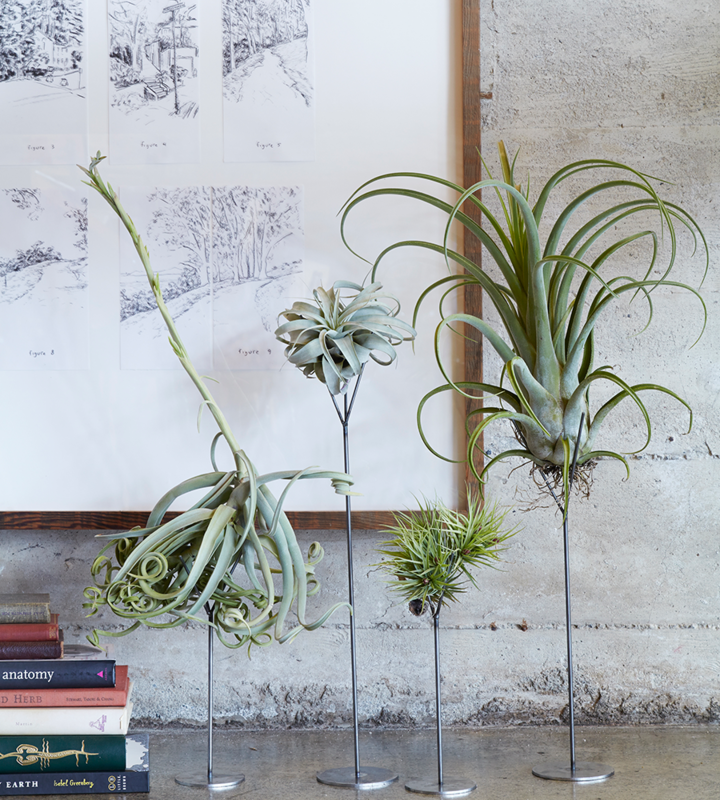 A large, dramatic Tillandsia stricta specimen serves as a focal point to anchor the design. Tillandsias can also be mounted directly to a wall using our Thigmotrope Satellites. Hanging them individually highlights their color and form and complements a minimalist look. Learn more about growing tillandsias here! Soft sunset pink is the perfect accent color in a mostly neutral room inspired by desert tones. These pink Case Study pots are exclusive to FGG, and we still have several sizes to choose from. Feeling inspired yet? Come down and see us soon!